“You know, publishing judicial cases in China won’t work because no one cares what the courts say,” declared my best Chinese friend Mike, seemingly out of nowhere, as we entered the crowded Beijing subway on a slate-grey afternoon in the autumn of 2007. The statement stunned me. After all, I’d been sent to China three months earlier to build and launch a new Chinese legal online service. Our research told us that Chinese lawyers and judges wanted access to more and better organized cases. They certainly did in all the previous places I had worked: the U.S., the UK, Germany. Incredulous, I stopped in my tracks. Bustling commuters pushed past me along the filthy subway walls. It sometimes seems that a lifetime has passed since that shattering exchange. I posted Part I of this article a month ago–shortly after China’s Supreme People’s Court published a very public appeal for greater judicial independence and an end to the “power, money, allegiances, relationships and other extrajudicial disturbances” that my friend Mike so devastatingly described six years ago. In that posting I made a case for why judicial reform should actually make sense to the people who run China’s government: it strengthens the stability and legitimacy of an unelected government. Brandeis noted that a government which conducts its business in the open is less prone to corrupt influences. For China, the task of opening up government is a daunting one. China’s government is monstrously large, heavily politicized by the existence of a single party, and dominated by a massive executive branch at both the national and provincial levels. 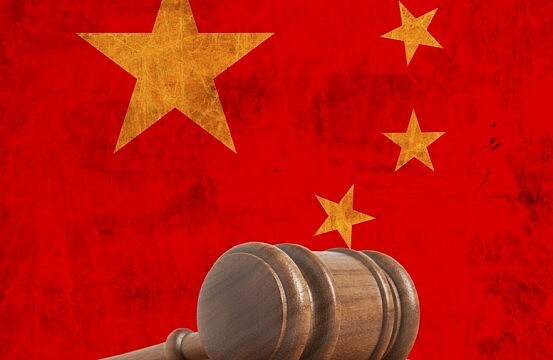 In this article I address reform in only a small part of China’s government: its relatively underpowered and under-appreciated judicial branch. I recommend changes that ought to result in things the central governments wants: legitimacy, stability. I don’t address many aspects of reform that are more political in nature, such as how judges are selected, disciplined or promoted, though I believe that many of the reforms I propose will be achievable only by and through a more professional judiciary. Also, this article is entirely about achieving reforms in the administration of civil justice—the least developed part of China’s legal and judicial system. I have recently delivered a series of lectures at a leading Chinese law school posing the following questions: (1) Can the Chinese government enhance stability and legitimacy by being more transparent in the civil judicial sphere? (2) What would be the practical and legal effect of explaining and publishing the legal grounds upon which judicial decisions are made? In this article I share some of the main points from those lectures. I have no doubt—because some of the people working for judicial reform in China are my friends–that changes already underway are resulting in a more open, more professional judiciary which will, in time, produce more judicial decisions based solely upon the rule of law. But here is the point: unless the legal grounds for those decisions are shared with the public and, crucially, with lawyers and other judges, people will simply assume that the cases were decided in the old way. By favoring greater judicial transparency the government makes an important move. But without the kind of transparency that changes people’s opinions of the judiciary, the government gets no benefit for a reform that requires relinquishing a certain degree of political control over the resolution of civil disputes. What happens when cases are decided according to the rule of law? Well, the decisions themselves become more important, especially to the legal class (other judges and lawyers), especially if they share rationale and analysis that may shed light upon how future controversies might be handled by a court. That sounds, you may say, a bit like the common law notion of stare decisis (to stand by things decided), the doctrine descended from the English tradition of following prior decisions, or precedents. China, you may correctly note, hews more to a civil law tradition (like France and Germany). As a general rule judges in civil law countries, China’s included, do not follow the doctrine of stare decisis. Chinese courts are not bound by prior decisions and are often not permitted, under the rules of the court, to reference prior decisions in their opinions. The same often goes for the parties in their court briefs. How a particular court has ruled on a particular law in a prior matter has no legal effect—whether dispositive or merely persuasive—in any future dispute. Some think this fact makes prior court decisions (the very foundation of the common law system) irrelevant in a civil law system. “Cases,” my English handlers in London were fond of saying while I ran the Westlaw Deutschland project, “don’t matter much in a civil law country like Germany.” Isn’t it strange, then, how our market research consistently told us that German judges and lawyers wanted greater online access to well organized and comprehensive collections of cases? Cases, it turns out, can actually matter more in a civil law setting, and let me tell you why. Classic civil law doctrine handed down from the Romans via the French posits that all legal disputes must be resolved through reference to legislation–laws made by elected representatives of the people (I will return to this point when we take up China again). Judges are intended to merely apply the law, not step in and “make” law when the statutes are vague or unhelpful. But here is where the civil law somewhat runs afoul of its own doctrines. The world and its legal relationships are constantly changing. Legislation always lags behind developments in society, commerce, technology. So when a legal system requires its courts to define all known and still-unknown legal relationships under legislation, the laws must be broad, brief, and often so vaguely drafted that in terms of concrete application they can be rather unhelpful. Germany’s law on unfair competition, for example does not define the term “unfair.” Where on earth does a German court go for that definition? The answer is simple: prior judicial decisions and authored commentary, which largely codifies, in doctrinal form, what has been reasoned and decided in prior court cases. So, the point here is that even in a civil law system old cases matter a lot. The judges and the lawyers are all reading them, when they can get their hands on them; they’re just not always allowed to make full use of them. What will happen, then, when Chinese lawyers, judges and law students actually take notice of what is contained in judicial opinions—especially ones from the higher courts which, presumably, have jurists of higher quality? There will be several knock-on effects. First, the courts will, overnight, have more power and prestige (and the quickest way to lose it would be a return to the old way of making judicial decisions). Second, the way court opinions are written, organized and published will become much more important. Broad publication helps assure the people that their judges are making decisions based upon the rule of law. Consider, also, the quality control benefits of broad publication. The Supreme People’s Court is at least nominally responsible for overseeing judicial quality in China’s lower courts. When a lower court judge is reversed on appeal, broad publication of that face-losing reversal—and the grounds for it—will help impose greater uniformity and discipline. No judge likes reversal—especially the corrupt or incompetent ones. Imagine that you represent a client whose legal position lines up nicely with a prior decision of the country’s highest court. Wouldn’t you want to point out that prior case to the lower court judge deciding your case? And if you were that judge would you feel uncomfortable ignoring a position laid down by the country’s highest court? Perhaps not, because it happens every day in China’s lower courts. That must change. In 2007, when I began my work with the Supreme People’s Court, their press office wanted to publish the Court’s database of “Top 50” decisions on the online service we were building, Westlaw China. Why? The court was troubled by what it perceived as inconsistent interpretation of laws by lower court judges. They wanted every judge and lawyer in China to know how to correctly decide cases. It is not enough merely to publish judicial opinions broadly. The court’s opinion must also explain its reasoning in detail. So the third and perhaps most important effect of a new interest in the contents of judicial opinions will be the flowering of a natural desire among lawyers to source prior decisions (especially ones that issue from top courts, and are well-reasoned, supported and written) for guidance on how the court may rule in future matters. The Chinese government wants, above all else, order and stability. Today they achieve this throughout the branches of government by overt expressions of authority and efforts to increase discipline within the Party. The courts of China have discipline and authority—of a sort. It is largely supplied by the “extrajudicial” agents of money and political influence. But as judicial reform decreases the prevalence of these corrosive influences, something else must replace it. The answer is the highly conservative common law doctrine of stare decisis. Stare decisis is by its nature conservative and stability-enhancing because it looks backward, not forward, for its authority. Indeed, stare decisis could have been a Chinese invention since it presumes a hierarchy of authority, with the nation’s highest courts having the most authority and thus the final word on any legal question. China needs stare decisis, because if you take away money and politics and don’t replace them with anything else, the courts will spin out of control. Stare decisis, administered by the Supreme People’s Court from above, will guarantee legal discipline and give the central government at least the administrative legitimacy it seeks from judicial reform. A common misunderstanding about the distinction between common law and civil law is the belief that citation to prior judicial opinions can erode the primacy of legislation. This is not true. Chinese law and rules of procedure can and should mandate that legislation is the sole source of legal authority—even while it must be recognized that the civil law doctrine of legislative primacy derives largely from the fervent democratic sentiments of a post-monarchic France. Note, also, that I have proposed civil judicial reform in matters only between private parties and businesses. China’s judiciary is not ready to tackle the impartial handling of matters involving any of China’s ruling elites or the executive and legislative branches of government. Once lawyers and judges are encouraged to take heed of prior judicial decisions, we are confronted with the issue of citation. Assuming that courts and lawyers will be allowed to reference such cases in their papers and decisions, how will these cases be cited? This may seem a terribly technical and mechanical matter for many, but how citation policy is established and enforced by a country’s courts can have a profound influence on the development of the country’s legal publishing system—a key pillar in the quest for legitimacy and stability. China’s case citation formats are not well developed because (a) judicial opinions were not always widely available to lawyers and judges; but when they were (b) the court’s decision was often not well explained; and, in any event (c) what the court said didn’t have any legal consequence for subsequent cases. Citations serve several purposes, the chief of which is to inform its reader, with some level of precision, where the cited authority can be found. When lawyers and judges cite cases it is important that their citations are in a standard format and point to the same authoritative sources, preferably an official version of the cited authority. Following judicial reform in China legal citations—especially to cases—will be far more important than they are today. It behooves the government to take control of citation policy, or private publishers will step into the void. The key to successful judicial reform in China is the free flow of legal information, especially cases. The people of China, thirsting for simple justice, want to repose faith in an impartial and independent judiciary. They won’t do that until they see that disputes referred to China’s courts are resolved fairly and according to the rule of law. In what promises to be a painful structural and cultural transition, the Chinese judicial branch needs the support of the central government to drive reform, which should include measures to reform and, to the extent possible, de-politicize judicial selection, discipline and promotion. I have proposed adoption of the doctrine of stare decisis, primarily as an instrument of continuity and stability. When prior decisions become important, the judiciary becomes more respected. An entire legal information ecosystem needs to be developed. Private publishers would be delighted to occupy that space. I advocate for a strong judicial role in legal publishing and standards enforcement—especially from the Supreme People’s Court. I have also pointed out that a stronger, more respected, more disciplined Chinese civil judiciary need not threaten the primacy of legislation or the prerogatives of either China’s ruling elites, or the more powerful executive and legislative branches of China’s central government. The civil law prohibition against citing prior cases does have an impact on cases research and publishing strategy. The most profound difference that common law researchers and publishers will note is this: with no references to prior decisions contained in a judicial opinion (and thus no embedded case citations to programmatically extract and build metadata around), there is no opportunity to hyperlink or to develop case citators of the kind published in the U.S. and UK. Judges and lawyers still need to find relevant cases. Mere key word searching of raw, unenhanced text will not get the job done reliably. But the good news is that most major civil law statutory systems have very logical structures around which to organize cases. The structure of legislation becomes the “tree” of cases classification, digesting, annotation. There is no need to create entirely separate case-based classification and digesting systems, such as those developed by private publishers in the U.S., the UK and other common law countries. A typical Chinese case report is, by western standards, terse and legally unenlightening. Besides citing the law under which the case was decided and announcing the prevailing party, little or no effort is usually made to explain the rationale behind the court’s decision. Private legal publishers, like West Publishing in the U.S., derive substantial commercial advantage from official citation policies that mandate reference to their products. Even when the government publishes an “official” case compilation (such as the U.S. government’s Supreme Court Reports), the mere fact that most lawyers, for various reasons, prefer to use the West products means that citations to West’s products are included in any complete citation to a U.S. Supreme Court decision. When I was running the Westlaw China project (a fully online product) I advocated for the production of a paper version of our Chinese cases collection. We would sell these books at or below cost to municipal and university libraries around China. Why? The volume number and page breaks in the books would mirror those in our online product. Enterprising Chinese would invariably obtain access to the books, then copy and re-sell them to local lawyers, in violation of our copyright. We would prosecute some token infringement cases to preserve our rights. We would lose some low-end revenue from lawyers who were unlikely online customers anyway. More importantly, our citation format would become widely used—and thus embedded–in the market. China and the United States: Who will slay its dragon first? McCampbell Global does NOT share your personal information with third parties.